Drain Solutions offer complete solutions for all your drainage needs. We specialise in unblocking and repairing drains, sewers, toilets and stormwater drains. We are equipped with the latest drain clearing and rehabilitation equipment such as high pressure water jetter, in pipe drain camera, and drain relining technology. Our professional solutions entail our qualified plumbers trained in all areas of unblocking, inspecting and pipe lining all types of drain blockages with the best drain clearing equipment. Once we have cleared and inspected your blocked drain using our drain clearing high pressure water jetter and drain camera, we can provide permanent solutions by using Pipe Relining to repair your drains. Life is good, but aren’t you tired of tackling blocked drains and damaged pipes? You don’t have to live with them. If you have a blocked drain in Balwyn, call Drain Solutions and take advantage of our years of experience in drainage and underground asset management. Whether you’re a home-owner or a business owner, we give you the same uncompromising dedication once you let us work for you. Drain Solutions is a company that provides an entire range of Drain Relining and Drain Clearing services in Balwyn and other parts of Melbourne. We are known for our devotion to service excellence and our extensive investments in technology and research and development. We specialise in Pipe Lining or CIPP (Cured in Place Pipelining), a technique that repairs blocked drains or broken pipes permanently with little excavation, if any at all. This results in less interruption of your daily routine and lower costs than what normally comes with traditional plumbing replacement procedures. We also offer professional services such as drain clearing, toilet sewer clearing, and removal of sewer and drain obstructions, among many others. At Drain Solutions, we use various techniques that we have mastered through time and experience. You can also count on our cutting edge and environment friendly high pressure water jetting equipment and many other technologies that offer impressive results. In addition, our In Drain Cameras give you an exact view of what’s going on down there in your pipes and drains. This allows us to provide highly accurate onsite quotes based on actual footage, making it easy for you to understand what you’re really paying for. Finally, our industry experience – more than 40 years – can only speak for itself. So stop stalling and let the work begin when and where it’s needed. 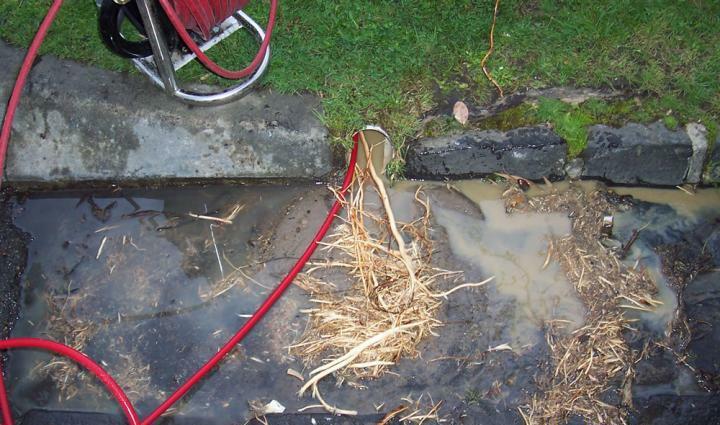 Call us at Drain Solutions and book an appointment with a professional today for your blocked drain in Balwyn!